English Premier League: Will "Big Sam" Allardyce be given vote of confidence at Everton? English Premier League: Will “Big Sam” Allardyce be given vote of confidence at Everton? Ever since being installed as Everton manager, after the abbreviated and unsuccessful Ronald Koeman experiment, Sam Allardyce has in effect brought an element of stability. In addition, he has brought with him a wealth of experience and galvanization to Goodison Park, contrary to popular belief. In the summer of 2017, Everton’s ownership signalled Ronald Koeman with a trigger happy license to spend over £142 million on new players, including the acquisition of talented Icelandic playmaker and Everton’s all-time record signing, Gylfi Sigurdsson, who joined Everton from Swansea City for £45 million. 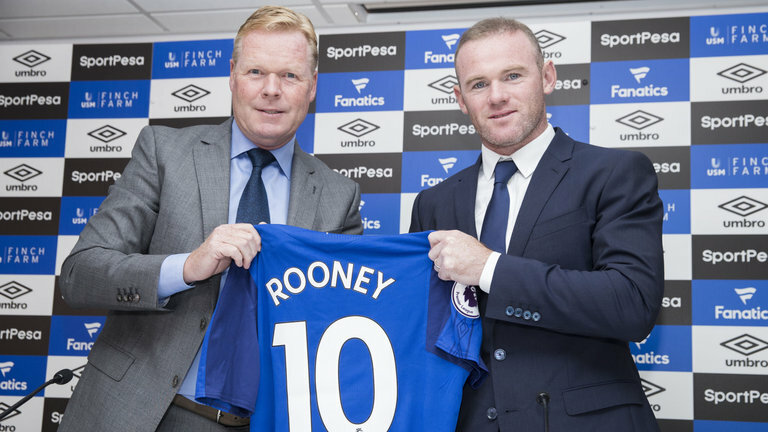 Of the plethora of summer 2017 signings which Everton completed, notwithstanding the sentimental high-profile free transfer return of Wayne Rooney to Everton from Manchester United on a two-year deal, the Toffees transactions since the summer of 2017 had promised so much, yet have delivered so little, notably £25 million Everton outcast Davy Klaassen; Klaassen has been made surplus to requirements since the arrival of Sam Allardyce and the Dutchman truly underscores one of many Everton signings who lack identity. Prior to the arrival of Sam Allardyce at Goodison Park, Everton under Ronald Koeman were banally languishing in the lower reaches of the English Premier League, whilst also leading amongst English Premier League teams who collectively covered the least ground as a team. In addition, Everton under Ronald Koeman exited the Europa League 2017-18 during the early stages of the competition and subsequently experienced vast difficulties establishing a reliably consistent goal scoring threat leading the Everton frontline, which is a relative theme which still comes back to haunt the Toffees irrespective of the recent improved efforts from Cenk Tosun. Allardyce signed Cenk Tosun from Turkish giants Besiktas for £27 million in January 2018; rumors have tremendously persisted of Tosun longing to return back to Besiktas. However, Tosun, a Turkish national, has scored four goals in seven appearances for Everton in the English Premier League 2017-2018 season and has since somewhat endeared himself to Evertonians. 21-year-old Everton forward Dominic Calvert-Lewin is by no means the finished article and the England U-21 star at times has been out of his depth in big games, particularly given his lack of experience. Calvert-Lewin, however, has scored eight goals in 38 appearances for the Toffees in the English Premier League 2017-2018 campaign and is currently working under the guidance of Everton legend Duncan Ferguson as well as club hero Wayne Rooney to improve further as a player. Allardyce has never witnessed relegation in the English Premier League during his managerial tenures with Bolton Wanderers, Newcastle United, Blackburn Rovers, West Ham United, Sunderland and Crystal Palace. With Everton currently placed ninth in the English Premier League, safety is mathematically assured once again for Allardyce as he has successfully guided the blues away from a tough relegation battle. Allardyce has suggested that he is already focusing and preparing toward his second season in charge at Everton. Post-David Moyes era, Everton as a club have experienced growing pains as well a revolving door in personnel, both on and off the field. Furthermore, thereafter the well-documented £75 million sale of Romelu Lukaku, Everton’s all-time leading goalscorer in the English Premier League (a record previous held by Everton legend Duncan Ferguson), Everton failed to adequately replace the prolific Belgian striker and have in turn have had a share of impotency in relation to Everton strikers regularly finding the net. 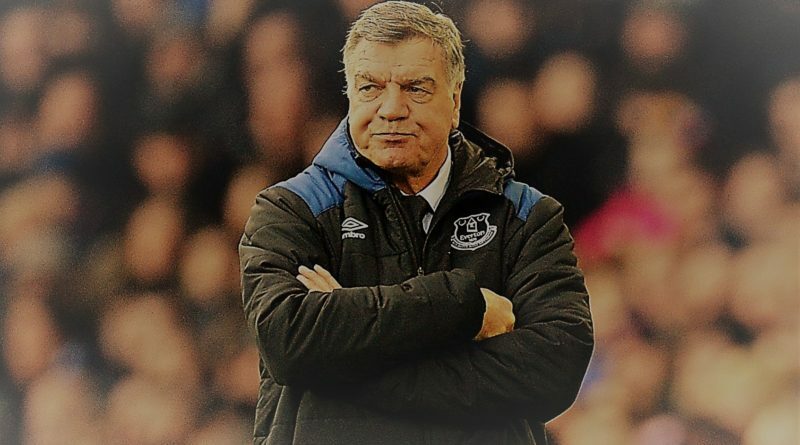 For over a decade, a flurry of cynical detractors have publicly criticized and denounced Sam Allardyce’s aptitude and penchant for long-ball tactics, which a chief majority of devout Evertonian’s have been infavorable of notably due to Allardyce’s perceived lack of fresh ideas and perceived so-so tactical flexibility and versatility. However, Allardyce has often defended his reputation for frequently adopting long-ball tactics, thus claiming that long-ball tactics implemented from Head Coaches and players overseas remains universally deemed and praised as a cultural pass from critics, whereas Allardyce’s philosophy of long-ball play is perceived as both archaic and boring due to being English. In Allardyce’s defense, his otherwise stellar and underrated managerial track record speaks for itself. Big Sam successfully ushered and overachieved with Bolton Wanderers in once leading the club into Europe (as well as promotion with Bolton Wanderers to the English Premier League in 2001), coupled with orchestrating West Ham United back into the English Premier League. What Allardyce clearly lacks in style at Everton, the well-travelled 63-year-old has efficiently made up for with pure substance and dedication. Savvy pre-game preparation, including the groundbreaking scientific data analysis which Allardyce popularized and pioneered in the English Premier League during his memorable tenure with Bolton Wanderers has been routinely utilized for the betterment of his team’s performances; former Manchester United Head Coach Sir Alex Ferguson once praised Allardyce’s meticulous preparation and man-management skills. Allardyce has historically done the very most with the least; a trait which has become a noteworthy strength and asset. In February 2018, a poll was conducted where 96% of Evertonian’s astronomically agreed in unison in favor of Allardyce to be fired after a poor run of consecutive losses. However, Allardyce’s Everton have since resiliently rebounded and the negativity has been momentarily washed away for the time being. 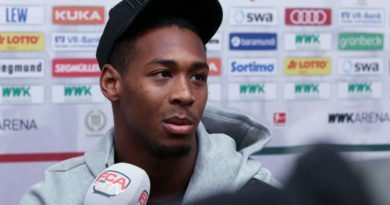 Everton’s ownership and Evertonian’s alike have secretly and publicly expressed desire for a brand new man at the helm at Goodison Park, although Everton’s English Premier League 2017-2018 under Allardyce would fairly be considered a relative success if Everton maintained a finish with their current position (9th). Meanwhile, relegation bound West Bromich Albion, who are destined for SKY BET Championship action next season, have been linked with Sam Allardyce. Elsewhere, former Paris St-Germain and ex-France Head Coach, Laurent Blanc, has been linked with the Everton job if Allardyce departs from Goodison Park this summer. Blanc registered a 73% winning record during his successful three-year tenure with Paris St-Germain, which witnessed three Ligue 1 championships, two Coupe de France titles, three Coupe de la Ligue triumphs as well as three Trophée des Champions accolades. Michael Appleton, Derek McInnes and Nigel Pearson have also been linked with the managerial role at struggling West Bromich Albion, although it remains to be seen whether Allardyce would fit the criteria at The Hawthornes. 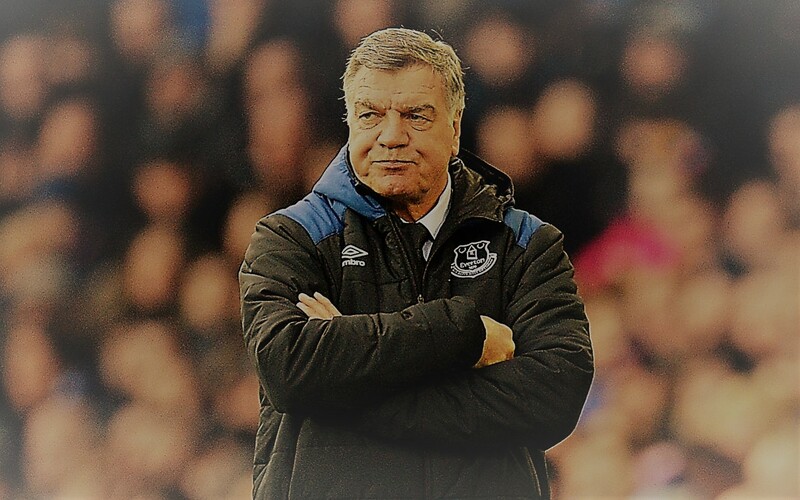 Allardyce’s current managerial record at Everton after 21 games in charge in the English Premier League 2017-2018 season includes: eight wins, five draws and eight losses; Allardyce has a 38.1% winning percentage since arriving at Everton in November 2017. However, the big question remains: Will Big Sam be given the vote of confidence at Everton? More predictions at Doc’s Sports.